Sousa Exterminating Company is a family owned and operated pest control company that has been serving the Northern New Jersey area for over 25 years. 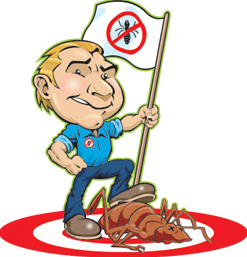 Our mission at Sousa Exterminating Company is to provide professional and affordable pest control solutions that protect health, food, property and the quality of our environment. Whether your problem is at home or at your business, we will put your mind at ease with the safest, most convenient and effective treatment available. Our employees are fluent in English, Portuguese, and Spanish to better serve our multi-cultural community. We are fully insured, certified and licenced in the state of New Jersey.